I’ll be in Rochdale this Saturday, at the Rochdale Pioneers’ Museum in Toad Lane. The museum (in the Pioneers’ original grocery shop, of course) has recently had a complete make-over with much more space now available for temporary exhibitions. And that’s why I’ll be there. 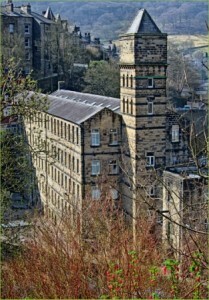 The museum staff have organised an exhibition The Workers Who Ran Their Own Mill to link in with the publication of my book All Our Own Work, about the manufacturing cooperative in Hebden Bridge which during the later part of the nineteenth century was very much an exemplar of successful ‘productive cooperation’ (it was, in modern parlance, a workers’ cooperative). And in the meantime I must get down to thinking about the short presentation I’ll be making as part of the event. This entry was posted in Co-operatives and tagged Hebden Bridge, productive cooperation, Rochdale Pioneers Museum. Bookmark the permalink.